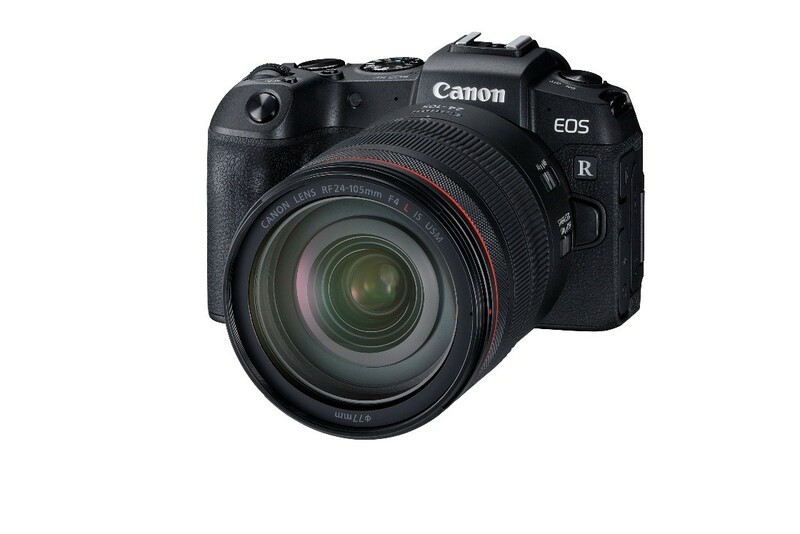 The new full-frame 30.3 MP Canon EOS R camera expands optical possibilities through the revolutionary 54mm mount, which now allows never-before-possible design of the new RF lenses, and the new RF mount adapters, that gives users full access to Canon’s wide range of EF and EF-S lenses. Equipped with the latest DIGIC 8 and focus speed of 0.05seconds, the EOS R is poised to raise the bar in photography. Canon expands its world-renowned EOS System with the launch of the Canon EOS R—the global imaging brand’s first 35mm full-frame CMOS sensor mirrorless interchangeable-lens digital camera that features an electronic viewfinder (EVF), set to raise the bar of photography and videography a level higher. The optical experience with the EOS R also gets a boost with the reveal of four brand new RF lenses, two super telephoto EF lenses, a new prime EF-M lens, three types of RF mount adapters that allow users to use their existing EF lenses with the new EOS R, and a compact Speedlite---all these to ensure users have all the necessary tools to turn their vision into real, beautiful imagery. “As a global leader in imaging, Canon believes in pushing forward the limits of photography and filmmaking through the latest of its technologies. 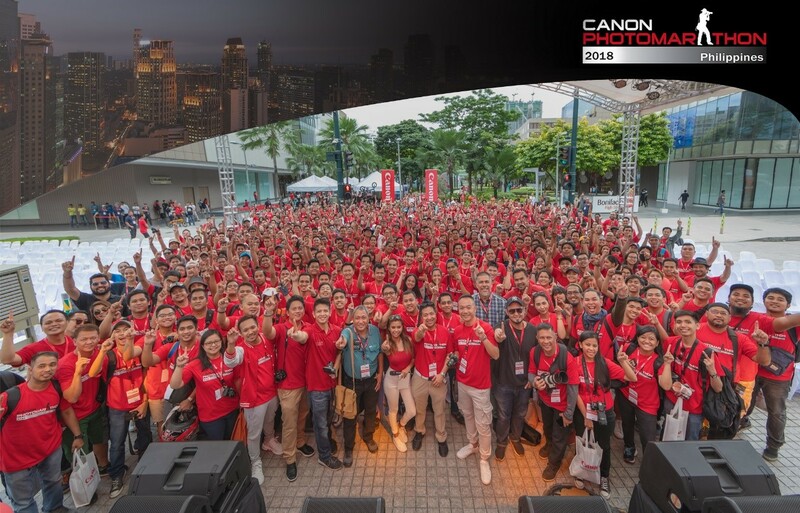 The ground-breaking Canon EOS R not only sets the new standard for cameras but also unlocks a future that allows photographers and filmmakers to take their visual storytelling further than ever.” said Benny Yu, Canon Marketing (Philippines), Inc. (CMPI) Head of Consumer Imaging and Information division. The 54mm diameter RF mount is what makes the EOS R unique with its short flange focal distance of 20mm and 12-pin contact points for an enhanced communication between the lens and body – paving the way for a new breed of compact lenses with high image quality and advanced specifications. With the RF lenses, lens data can now be sent to the body for correcting of any diffraction, aberrations, peripheral illumination or distortion through in-camera Digital Lens Optimizer without affecting shooting speed. The EOS R boasts of a 35mm full-frame Dual Pixel CMOS AF sensor and an impressive ISO sensitivity range of 100-40,000 that not only delivers crisp details and pulsating colors at 30.3 megapixels, but also allows shooting in low-light scenes achievable. Driven by the latest DIGIC 8 imaging processor, its Auto Lighting Optimizer applies gradient to deliver intricate details in highlights and shadows for a well-balanced image. Meanwhile, the EOS R employs Dual Sensing IS that detects camera shaking with high accuracy for effective image stabilization equivalent to a maximum of 5 shutter speed stops for slower shutter speed yet sharp image stills. It also supports Dual Pixel Raw for micro-adjustment, bokeh shift, and ghosting reduction. Never miss a shot again with the world fastest* near-instantaneous focusing speed of 0.05 seconds, catching that fleeting moment as it happens, made possible through the Dual Pixel CMOS AF. Users now have the freedom to choose from as many as 5,655 AF positions, allowing greater composition opportunities. Shooting portraits at wide open aperture is also now made easier with Eye Detection AF which can operate even in in low-light focus of EV-6 detecting the subject’s pupils even in low-light conditions. Through the customizable 3.69-million-dot OLED electronic viewfinder (EVF) with approximately 100% coverage (vertically), the EOS R provides users an immersive experience of viewing the outcome of their desired setting for the shot. Its vari-angle touchscreen LCD also allows users to shoot from unconventional angles. With customizable multifunction bar with tap and slide functions, control ring on RF lenses, sub-electronic trapezoidal dial on-top, and touch & drag AF, users would never have to take their eyes off the EVF to adjust settings, even for video recording. The EOS R is the first Canon camera to feature FV exposure mode, allowing auto and direct control in one single mode for shutter speed, aperture and ISO sensitivity which can be all done without looking away from EVF. A dot-matrix LCD is also located at the top of the camera providing all the crucial information to the user at a glance without looking through the EVF or LCD screen. Equipped with Silent Shutter, the EOS R allows users to take photos stealthily during performance, conference or during a recital. The ergonomic design of the EOS R is well-depicted through its deep grip and well-balanced design. The magnesium alloy body, together with its dust and moisture resistant sealing, ensures that no matter rain or shine, EOS R is ready to perform. The EOS R records in Ultra High Definition 4K at 30p/25p (3840 x 2160 pixels), and supports Canon’s proprietary Canon Log offering flexible control over shadows and highlights to achieve better subtle details in the bright and dark areas during post-processing and color grading with a rich 10-bit output gradation and a wide color gamut through the HDMI terminal. Paired with RF lenses, the EOS R can make 1/8 stops aperture adjustments during video recording, allowing precise control over exposure to match lighting conditions. Using the Focus Guide function, users can achieve focus more accurately with better control with a display to indicate whether subject is in focus, front focus, or rear focus. The new RF lenses are a step towards the future, providing extremely high image quality never seen before. In addition to the focus ring and zoom ring found on conventional EF lenses, RF lenses features an additional new control ring to which users can assign exposure adjustments. Constructed with dust and rain resistance in mind, the RF mount adapters feature simple designs and enable owners of EOS R cameras to use existing EF mount lenses1 with nearly full functionality2—ranging from wide-angle to telephoto, fisheye and macro—multiplying the possibilities of greater photographic expression. The battery grip can hold up to two batteries simultaneously and is first of its kind that allows direct charging with PD-E1 USB adapter, allowing twice the opportunities to capture moments. The BG-E22 further adds on the ergonomics of the EOS R, improving on the comfort and providing a firmer grip even when shooting in vertical (portrait) orientation. The new Canon Speedlite EL-100 is built with functionality and convenience in mind. With the ability to turn the flash-head in all directions of up to 180 degrees, users can bounce light with the ceiling and wall in both horizontal and vertical orientation. First in Canon’s Speedlite, the EL-100 features Continuous Shooting Priority* (CSP) mode and Auto mode*. The Speedlite would reduce its output power and raise ISO to save power, allowing more shots while using CSP mode. For new users of Speedlite, full use of the Auto Mode* can be done similar to Auto Mode on the cameras with built-in flash to determine how much flash is needed. This kit lens for the EOS R delivers superior quality for still photography as well as videography, thanks to its smooth and high speed autofocusing of the Nano USM drive. Its compact size and light weight, useful focal length, and constant aperture of f/4 makes this lens a great combination with the EOS R as a portable camera system. Equipped with Canon’s latest microprocessor, the RF24-105mm f/4L IS USM achieves 5 stops* of image stabilization—the most ever achieved by any Canon lens. The lens also supports Dual Sensing IS for stills while the video capture utilizes Combination IS, a feature in which the optical IS of the lens works together with the electronic IS of the camera body to produce a superior image stabilization effect. * When shooting with the EOS R at a focal length of 105mm. Based on CIPA standards. This lens builds on the wide diameter and short back focus that characterizes the RF mount to achieve a bright aperture of f/1.2. It makes near perfect circular bokeh effects with 10 blades delivering incredible sharpness at f/1.2 which is ideal for portrait photography. It can produce amazing smooth blur and background separation with its large aperture, even in low-light conditions. A shorter focusing distance of 0.4m and 0.19x magnification also allows tighter composition. Thanks to the newly developed RF mount, the large-diameter RF28-70mm f/2L USM maintains a constant aperture of f/2 across the entire zoom range which is difficult to achieve with conventional EF mount lenses. Its high optical performance makes it ideal even for weddings and astrophotography. With its performance on par with prime lenses, the RF28-70mm f/2L USM enables users to cover the entire 28-70mm shooting range with a single lens in scenarios that would otherwise require several. At 62.8mm long and 305g, this is a very compact and lightweight macro lens. With a wide focal length of 35mm, it is ideal for daily snapshots and still-life photography. Users can get up close to objects to capture textures and details that eludes the human eye with the maximum magnification of 0.5x. At wide open aperture of f/1.8, bokeh effects are simply beautiful. Besides Dual Sensing IS and Combination IS at up to 5stops of Image Stabilization, the lens also has Hybrid IS that corrects hand shake with high precision during macro photography. Weighing at only 235g, this lens has a focal length of 51mm (35mm sensor equivalent) – one of the most favorite focal length among photographers. Through this lens, users can compose a tighter image through the 0.25x magnification. The large aperture of f/1.4 allows spectacular background blur while providing opportunities to perform well in low-light conditions. The EF-M32mm f/1.4 STM even has a full-time manual focus ability and a metal mount. Two of Canon’s popular high image quality Super Telephoto lenses had a breakthrough in weight reduction while improving on Image Stabilization from 3.5 stops to 5 stops. The EF400mm f/2.8L IS III USM has shed 1,010g off its weight, making it the world’s lightest 400mm lens while the EF600mm f/4L IS III USM managed to reduce 870g, claiming the world’s lightest 600mm lens title. Revamped with a new sleek design, the two lenses have improved heat management through a new heat shield coating and heat conductivity design. Users would welcome the new adjustable focusing speed to suit their shooting style through the new electronic focusing ring. The ability to have two focus presets and to activate using playback ring is especially useful for sports photography. Simple, compact, and lightweight mount adapter. Equipped with a customizable lens control ring similar to the RF lenses, it allows users to enjoy the same convenience while using existing EF lenses1. This mount adapter is another step-up by adding a drop-in filter function—circular polarizing filter3 or variable neutral density filter3. Users can directly adjust the polarizing angle or the ND filter density on the adapter, especially useful on lenses that do not support filters, such as fish-eye lenses. With the Drop-in Filter Mount Adapter EF-EOS R, users no longer need different filters for different lenses. 1 Does not include EF-M Lenses or EF Cinema Lenses in the EF Lens series. RF lenses do not require a lens adapter. 2 Depending on camera specifications, some EF lens functions may not be usable. 3 Two kits for Drop-in Filter Mount Adapter EF-EOS R, one with Circular Polarizing Filter and one with Variable Neutral Density Filter. Both comes with a clear filter for normal shooting.